2011 Toyota Corolla S!! Barcelona red metallic complimented with Gray cloth exterior!! Power mirror!! Cruise Control!! WE FINANCE!!! CONTACT US 4693817040, We welcome third party inspections! We offer finance for any type of credit, First time buyers welcome. We take trade-ins, world-wide shipping, extended warranties available, installation of additional desired items, and MUCH MORE! Welcome to Extreme Sportcars INC, located in Carrollton, TX. We are a Retail Dealer specializing in offering the best customer service at a very competitive prices around the Metroplex. Here at Extreme Sportcars INC, we pride ourselves in getting the absolutely best and well maintained used vehicle inventory for our customers at the best price possible! We focus on having a pristine selection of pre-owned sport, suv and sedan cars domestic and imports. Our prices can't be beat! Every car is hand-picked with lovingly detail. Our passionate team focus on giving our clients the best experience through the sale. If you are looking for an easy way to shop with no hassle and stress-free shopping, stop by Extreme Sportcars or browse our online inventory. We Are Your DFW Premier Used & Preowned Dealer Near Dallas, Plano, Frisco, McKinney, Addison, Richardson, and other surrounding cities. 2008 Lexus RX400h!! 2 previous owners!! Sunroof!! Cruise Control!! Heated seats!! Power mirror!! WE FINANCE!!! CONTACT US 4693817040, We welcome third party inspections! We offer finance for any type of credit, First time buyers welcome. We take trade-ins, world-wide shipping, extended warranties available, installation of additional desired items, and MUCH MORE! Welcome to Extreme Sportcars INC, located in Carrollton, TX. We are a Retail Dealer specializing in offering the best customer service at a very competitive prices around the Metroplex. Here at Extreme Sportcars INC, we pride ourselves in getting the absolutely best and well maintained used vehicle inventory for our customers at the best price possible! We focus on having a pristine selection of pre-owned sport, suv and sedan cars domestic and imports. Our prices can't be beat! Every car is hand-picked with lovingly detail. Our passionate team focus on giving our clients the best experience through the sale. If you are looking for an easy way to shop with no hassle and stress-free shopping, stop by Extreme Sportcars or browse our online inventory. We Are Your DFW Premier Used & Preowned Dealer Near Dallas, Plano, Frisco, McKinney, Addison, Richardson, and other surrounding cities. 2007 Lexus Gx 470!! Blizzard pearl exterior complimented with Ivory Leather interior!! Power seats!! Cruise Control!! FM/AM radio!! Heated seats!! 8 seats!! 4X4!! Chrome wheels!! Automatic transmission!! Daytime running lights!! Automatic headlight!! WE FINANCE!!! CONTACT US 4693817040, We welcome third party inspections! We offer finance for any type of credit, First time buyers welcome. We take trade-ins, world-wide shipping, extended warranties available, installation of additional desired items, and MUCH MORE! Welcome to Extreme Sportcars INC, located in Carrollton, TX. We are a Retail Dealer specializing in offering the best customer service at a very competitive prices around the Metroplex. Here at Extreme Sportcars INC, we pride ourselves in getting the absolutely best and well maintained used vehicle inventory for our customers at the best price possible! We focus on having a pristine selection of pre-owned sport, suv and sedan cars domestic and imports. Our prices can't be beat! Every car is hand-picked with lovingly detail. Our passionate team focus on giving our clients the best experience through the sale. If you are looking for an easy way to shop with no hassle and stress-free shopping, stop by Extreme Sportcars or browse our online inventory. We Are Your DFW Premier Used & Preowned Dealer Near Dallas, Plano, Frisco, McKinney, Addison, Richardson, and other surrounding cities. 2015 Nissan Sentra SV!! One previous owner!! Super black Complimented with Black cloth seats!! NAV!! Back Up camera!! Automatic transmission!! Sunroof!! 12v Port!! Bluetooth audio player!! Power mirror!! Cruise Control!! Eco/sport driving mode!! Push start!! One Key all books!! WE FINANCE!!! CONTACT US 4693817040, We welcome third party inspections! We offer finance for any type of credit, First time buyers welcome. We take trade-ins, world-wide shipping, extended warranties available, installation of additional desired items, and MUCH MORE! Welcome to Extreme Sportcars INC, located in Carrollton, TX. We are a Retail Dealer specializing in offering the best customer service at a very competitive prices around the Metroplex. Here at Extreme Sportcars INC, we pride ourselves in getting the absolutely best and well maintained used vehicle inventory for our customers at the best price possible! We focus on having a pristine selection of pre-owned sport, suv and sedan cars domestic and imports. Our prices can't be beat! Every car is hand-picked with lovingly detail. Our passionate team focus on giving our clients the best experience through the sale. If you are looking for an easy way to shop with no hassle and stress-free shopping, stop by Extreme Sportcars or browse our online inventory. We Are Your DFW Premier Used & Preowned Dealer Near Dallas, Plano, Frisco, McKinney, Addison, Richardson, and other surrounding cities. 2014 MINI Cooper S!! 1 previous owner!! Clean Carfax!! Midnight Black Metallic Complimented with Black leather interior!! Cruise Control!! Power mirror!! Power Windows!! Automatic transmission!! HID headlights!! USB Port!! WE FINANCE!!! CONTACT US 4693817040, We welcome third party inspections! We offer finance for any type of credit, First time buyers welcome. We take trade-ins, world-wide shipping, extended warranties available, installation of additional desired items, and MUCH MORE! Welcome to Extreme Sportcars INC, located in Carrollton, TX. We are a Retail Dealer specializing in offering the best customer service at a very competitive prices around the Metroplex. Here at Extreme Sportcars INC, we pride ourselves in getting the absolutely best and well maintained used vehicle inventory for our customers at the best price possible! We focus on having a pristine selection of pre-owned sport, suv and sedan cars domestic and imports. Our prices can't be beat! Every car is hand-picked with lovingly detail. Our passionate team focus on giving our clients the best experience through the sale. If you are looking for an easy way to shop with no hassle and stress-free shopping, stop by Extreme Sportcars or browse our online inventory. We Are Your DFW Premier Used & Preowned Dealer Near Dallas, Plano, Frisco, McKinney, Addison, Richardson, and other surrounding cities. 2018 Toyota corolla SE!! 1 previous owner!! *** Original warranty estimated to have 23 months or 12,714 miles remaining*** Black sand pearl Complimented with black interior!! Cruise Control!! Lane departure assist!! Collision alert!! Power mirror!! WE FINANCE!!! CONTACT US 4693817040, We welcome third party inspections! We offer finance for any type of credit, First time buyers welcome. We take trade-ins, world-wide shipping, extended warranties available, installation of additional desired items, and MUCH MORE! Welcome to Extreme Sportcars INC, located in Carrollton, TX. We are a Retail Dealer specializing in offering the best customer service at a very competitive prices around the Metroplex. Here at Extreme Sportcars INC, we pride ourselves in getting the absolutely best and well maintained used vehicle inventory for our customers at the best price possible! We focus on having a pristine selection of pre-owned sport, suv and sedan cars domestic and imports. Our prices can't be beat! Every car is hand-picked with lovingly detail. Our passionate team focus on giving our clients the best experience through the sale. If you are looking for an easy way to shop with no hassle and stress-free shopping, stop by Extreme Sportcars or browse our online inventory. We Are Your DFW Premier Used & Preowned Dealer Near Dallas, Plano, Frisco, McKinney, Addison, Richardson, and other surrounding cities. 2016 GMC ACADIA SLT 2!! 2 previous owners!! Clean Carfax!! Ebony twilight metallic complimented with Black leather interior!! Bose Sound system!! Dual Sunroof!! NAV!! Back Up camera!! LED running lights!! Automatic headlights!! Heated seats!! Dual climate control!! Power Tailgate!! Rear a/c!! USB Port!! 7 seats!! Automatic transmission!! Collision alert!! Lane assist!! WE FINANCE!!! CONTACT US 4693817040, We welcome third party inspections! We offer finance for any type of credit, First time buyers welcome. We take trade-ins, world-wide shipping, extended warranties available, installation of additional desired items, and MUCH MORE! Welcome to Extreme Sportcars INC, located in Carrollton, TX. We are a Retail Dealer specializing in offering the best customer service at a very competitive prices around the Metroplex. Here at Extreme Sportcars INC, we pride ourselves in getting the absolutely best and well maintained used vehicle inventory for our customers at the best price possible! We focus on having a pristine selection of pre-owned sport, suv and sedan cars domestic and imports. Our prices can't be beat! Every car is hand-picked with lovingly detail. Our passionate team focus on giving our clients the best experience through the sale. If you are looking for an easy way to shop with no hassle and stress-free shopping, stop by Extreme Sportcars or browse our online inventory. We Are Your DFW Premier Used & Preowned Dealer Near Dallas, Plano, Frisco, McKinney, Addison, Richardson, and other surrounding cities. 2015 BMW 320i XDrive!! *** FACTORY WARRANTY estimated to have 17 months or 14,968 miles remaining*** Alpine white exterior complimented with black leather interior!! sunroof!! Cruise Control!! Dual climate control!! Power mirror!! Heated seats!! USB port!! memory seats!! rear a/c vents!! Push start!! automatic headlights!! ALL WHEELS DRIVE!! eco/comfort/sport and sport driving mode!! WE FINANCE!!! CONTACT US 4693817040, We welcome third party inspections! We offer finance for any type of credit, First time buyers welcome. We take trade-ins, world-wide shipping, extended warranties available, installation of additional desired items, and MUCH MORE! Welcome to Extreme Sportcars INC, located in Carrollton, TX. We are a Retail Dealer specializing in offering the best customer service at a very competitive prices around the Metroplex. Here at Extreme Sportcars INC, we pride ourselves in getting the absolutely best and well maintained used vehicle inventory for our customers at the best price possible! We focus on having a pristine selection of pre-owned sport, suv and sedan cars domestic and imports. Our prices can't be beat! Every car is hand-picked with lovingly detail. Our passionate team focus on giving our clients the best experience through the sale. If you are looking for an easy way to shop with no hassle and stress-free shopping, stop by Extreme Sportcars or browse our online inventory. We Are Your DFW Premier Used & Preowned Dealer Near Dallas, Plano, Frisco, McKinney, Addison, Richardson, and other surrounding cities. 2013 Mercedes Benz ML350!! 1 previous owner!! Clean carfax!! Black exterior complimented with black leather interior!! Sunroof!! 360 parking sensor!! Automatic headlights!! Back Up camera!! Memory seats!! Illuminated running boards!! Power mirror!! Cruise Control!! Nav!! Paddle shifter!! Heated seats!! Dual Climate control!! Power trunk!! Rear a/c!! One key all books!! WE FINANCE!!! CONTACT US 4693817040, We welcome third party inspections! We offer finance for any type of credit, First time buyers welcome. We take trade-ins, world-wide shipping, extended warranties available, installation of additional desired items, and MUCH MORE! Welcome to Extreme Sportcars INC, located in Carrollton, TX. We are a Retail Dealer specializing in offering the best customer service at a very competitive prices around the Metroplex. Here at Extreme Sportcars INC, we pride ourselves in getting the absolutely best and well maintained used vehicle inventory for our customers at the best price possible! 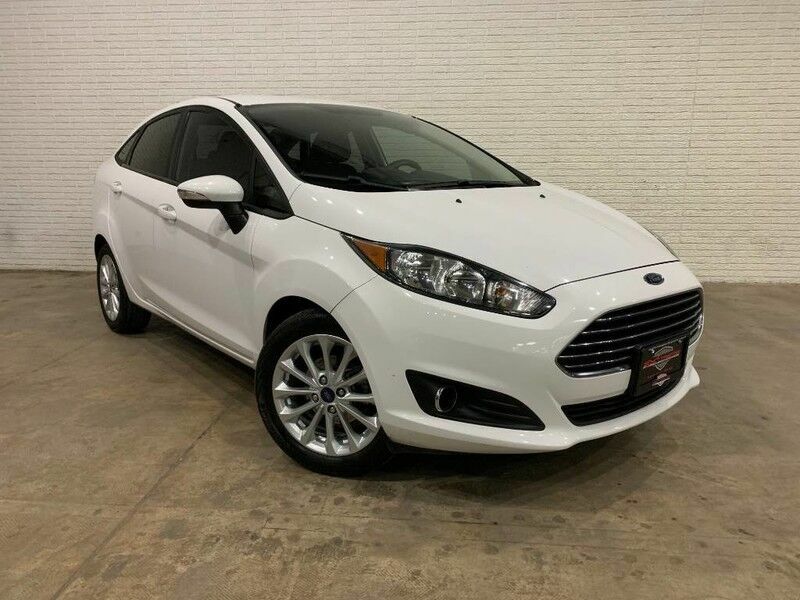 We focus on having a pristine selection of pre-owned sport, suv and sedan cars domestic and imports. Our prices can't be beat! Every car is hand-picked with lovingly detail. Our passionate team focus on giving our clients the best experience through the sale. If you are looking for an easy way to shop with no hassle and stress-free shopping, stop by Extreme Sportcars or browse our online inventory. We Are Your DFW Premier Used & Preowned Dealer Near Dallas, Plano, Frisco, McKinney, Addison, Richardson, and other surrounding cities. 2008 Jeep wrangler!! 2 door!! 4x4!! Lifted!! Clean carfax!! Red exterior complimented with grey cloth!! power locks!! Power windows!! Hardtop!! 2017 Mini Cooper S!! *** Original warranty estimated to have 24 months or 14,896 miles remaining*** EXTRA ITEM WITH PURCHASE OF THE VEHICLE!! 1 previous owner!! Clean carfax!! Moonwalk grey metallic complimented with black leather interior!! Double sunroof!! Back Up camera!! Automatic headlights!! Phone holder!! Bluetooth audio player!! Harman kardon sound system!! Sport/normal/eco driving mode!! one keys all books!! Power mirror!! Push start!! WE FINANCE!!! CONTACT US 4693817040, We welcome third party inspections! We offer finance for any type of credit, First time buyers welcome. We take trade-ins, world-wide shipping, extended warranties available, installation of additional desired items, and MUCH MORE! Welcome to Extreme Sportcars INC, located in Carrollton, TX. We are a Retail Dealer specializing in offering the best customer service at a very competitive prices around the Metroplex. Here at Extreme Sportcars INC, we pride ourselves in getting the absolutely best and well maintained used vehicle inventory for our customers at the best price possible! We focus on having a pristine selection of pre-owned sport, suv and sedan cars domestic and imports. Our prices can't be beat! Every car is hand-picked with lovingly detail. Our passionate team focus on giving our clients the best experience through the sale. If you are looking for an easy way to shop with no hassle and stress-free shopping, stop by Extreme Sportcars or browse our online inventory. We Are Your DFW Premier Used & Preowned Dealer Near Dallas, Plano, Frisco, McKinney, Addison, Richardson, and other surrounding cities. 2014 Ford mustang GT V8 5.0L!! 6-speed Manual Transmission!! 2 previous owners!! Black exterior complimented with gray cloth interior!! Power windows!! Lip Spoiler!! Two keys!! 12v Port!! LED Brake lights!! Aftermarket components!! WE FINANCE!!! CONTACT US 4693817040, We welcome third party inspections! We offer finance for any type of credit, First time buyers welcome. We take trade-ins, world-wide shipping, extended warranties available, installation of additional desired items, and MUCH MORE! Welcome to Extreme Sportcars INC, located in Carrollton, TX. We are a Retail Dealer specializing in offering the best customer service at a very competitive prices around the Metroplex. Here at Extreme Sportcars INC, we pride ourselves in getting the absolutely best and well maintained used vehicle inventory for our customers at the best price possible! We focus on having a pristine selection of pre-owned sport, suv and sedan cars domestic and imports. Our prices can't be beat! Every car is hand-picked with lovingly detail. Our passionate team focus on giving our clients the best experience through the sale. If you are looking for an easy way to shop with no hassle and stress-free shopping, stop by Extreme Sportcars or browse our online inventory. We Are Your DFW Premier Used & Preowned Dealer Near Dallas, Plano, Frisco, McKinney, Addison, Richardson, and other surrounding cities.